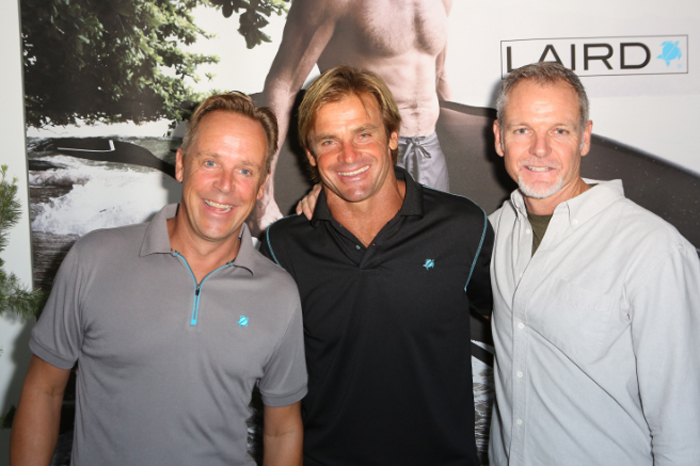 WHAT: Laird Hamilton was joined by celebrity friends, family and fans for the worldwide launch of Laird Apparel LLC, a collection of functional, technically crafted and performance-based products perfect from sunrise to sunset. Guests enjoyed a first look of the exciting new apparel collection while sipping on specialty cocktails by Casamigos, beer testers from Einstok Beer, coffee from Laird Superfood, refreshing water from Aloe Gloe and delicious organic bites. WHO: Laird Hamilton, Oprah, Orlando Bloom (The Hobbit: The Battle of the Five Armie), Kenny Chesney (American Country Music Singer), Sacha Baron Cohen (Les Misérables), Rande Gerber, John C. McGinley (Ground Floor), Gabrielle Reece (Professional Volleyball Player), Baron Davis (Pro Basketball Player) Mehcad Brooks (Supergirl), Slater Trout (Professional Stand Up Paddler), Rory Kennedy (Documentary Filmmaker) and Rick Rubin (American record producer) among others.